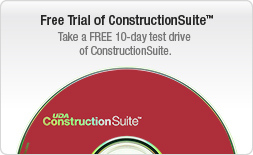 With UDA Estimating and UDA QuickBooks Integration (available in Pro versions and above of ConstructionSuite), estimating and accounting are integrated into a time-saving, accurate project management system. 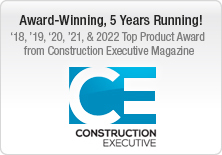 Create a customized, detailed estimate for your construction project, and then integrate estimating and accounting data in just a few minutes. 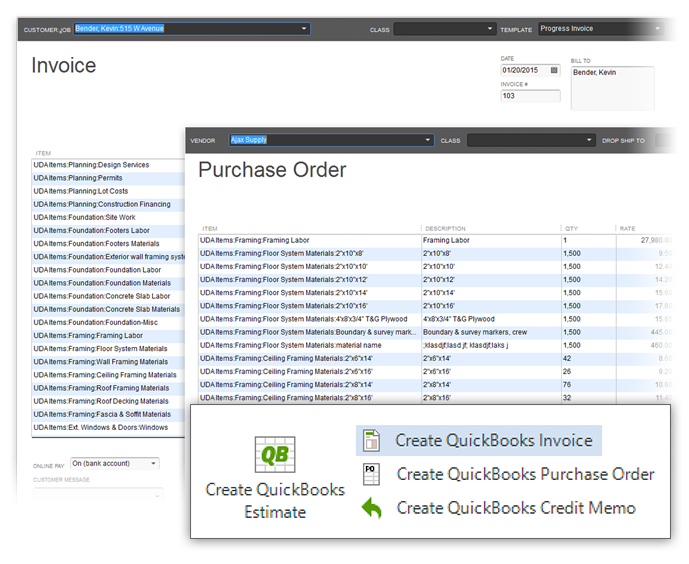 UDA QuickBooks Integration now offers even more dynamic options designed to give you ultimate control. Using the Initial Setup Wizard, you can select between the Expense/Cost of Goods Sold or Work in Progress accounting methods, define your preferences for creating a Chart of Accounts, and set up expense and income accounts. 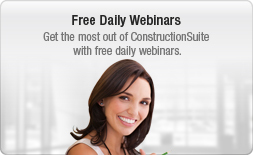 With ConstructionSuite, you can keep all of your information in one place, making it easy for you to see a complete picture of your project. 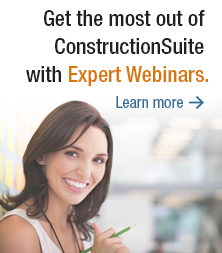 QuickBooks transactions, including estimates, invoices, purchase orders, bills, and payments can be automatically recorded in the History of each ConstructionSuite project. 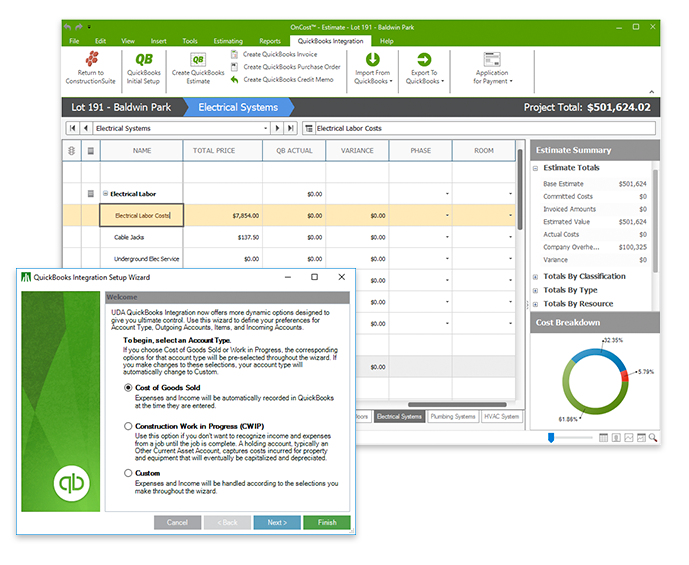 Create a QuickBooks Estimate directly from your UDA Estimate to save time and eliminate mistakes that can occur due to double-entering information. 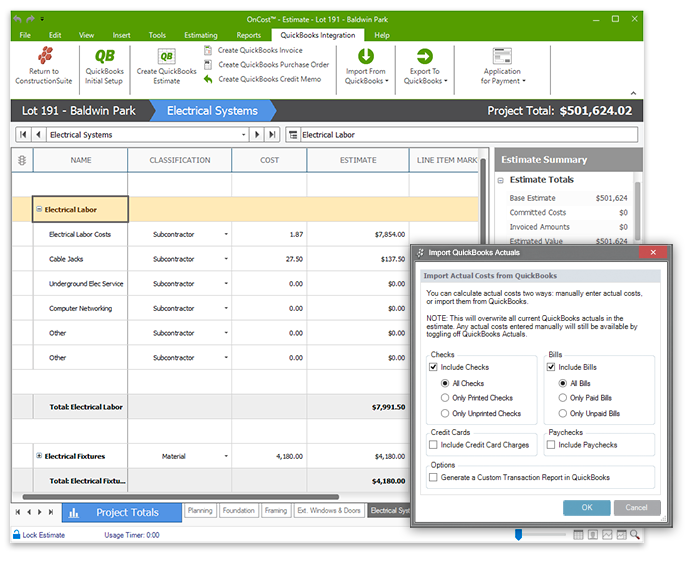 With a matching estimate in QuickBooks, you can launch invoices and purchase orders, and run reports that correlate with your customized estimate information. 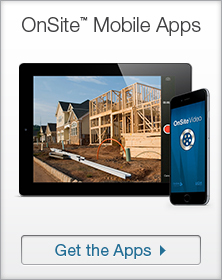 Effortlessly generate industry-standard payment applications. 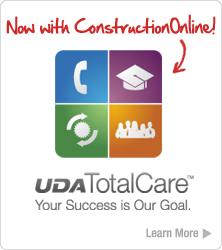 With dynamic integration between UDA Estimating and QuickBooks, you can quickly turn invoiced amounts into payment applications ready to be printed on AIA G702 and G703 forms. 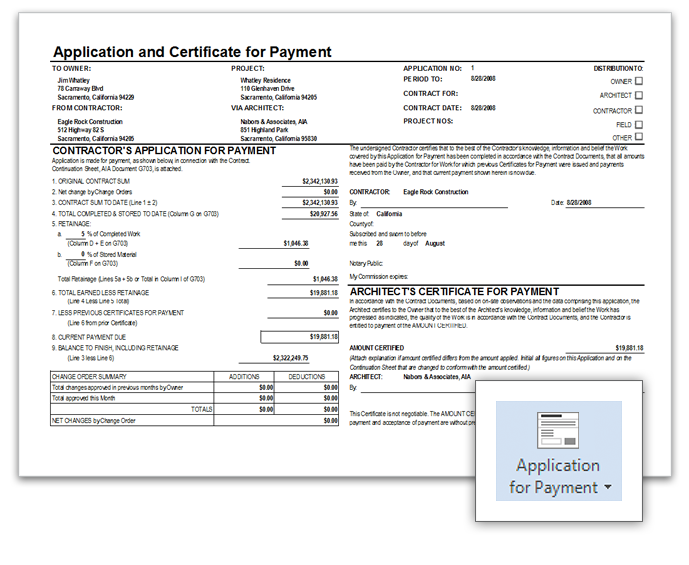 As the most flexible system available, UDA Application for Payment can generate payment applications from multiple QuickBooks invoices, keep a running total from previous project applications, and track retainages on work completed and materials stored. 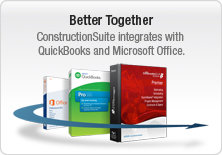 Bi-directional integration with QuickBooks makes it easy to import QuickBooks Actuals into your UDA Estimates. 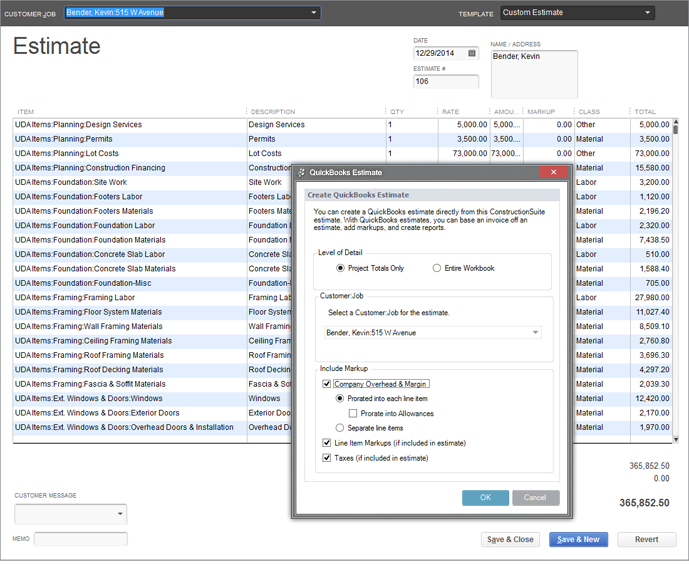 Now you can better manage costs and quickly determine your profitability status throughout the project duration.